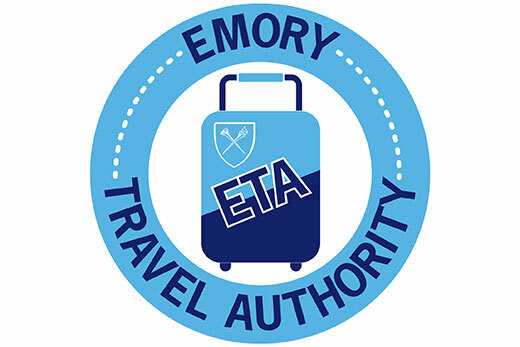 In the coming months, Emory will have a new travel portal — Emory Travel Authority — powered by a new travel management supplier to support all Emory University and Emory Healthcare travel efforts. A series of three outreach sessions are scheduled starting March 6 to provide more information about the portal. Multiple travel agencies were researched to find the right fit for Emory University and Emory Healthcare and to find a managed program to consolidate and enhance the traveler experience. The travel agency selection committee, which included several school chief business officers, global and student travel arrangers, evaluated and chose Corporate Travel Management (CTM) as the best travel services partner for Emory. Similar to the travel policy outreach sessions, Strategic Procurement Services will host multiple outreach sessions to discuss the new Emory Travel Authority online booking tool and CTM. See below for the current list of outreach sessions, or visit the travel website. Additionally, Emory Travel Authority training sessions (to learn how to book travel) will be scheduled soon. Please continue booking with current provider, BCD, until further notice and watch for additional communication pertaining to the launch of Emory Travel Authority. Stay up to date by visiting the travel website.